This article was originally posted on the World Economic Forum. Big numbers can drive change, so here’s a huge one: 800,000. That’s how many years it’s been since Earth’s atmosphere was as loaded with carbon dioxide as it is now. The steep rise in this heat-trapping gas underlines the need for a globally sustainable economy if we want to avoid the costliest impacts of climate change this century. 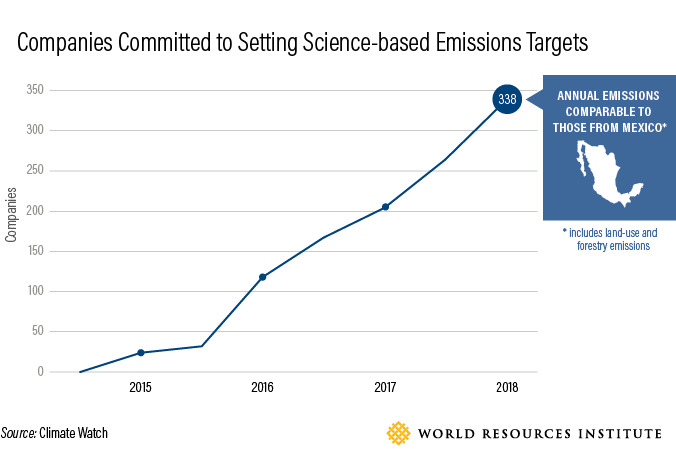 New policies and market trends show that a low-carbon transition, as envisioned in the 2015 Paris Agreement, is accelerating around the world – but not fast enough. National climate commitments made by countries under the Paris pact will only get us about a third of the way to the emissions reductions needed to keep the global temperature rise below 2 degrees Celsius, compared to pre-industrial levels. To get the rest of the way, accelerated short-term action and enhanced longer-term national ambition will be required, according to the UN’s 2017 Emissions Gap report. Business has a critical role to play in achieving the scale of decarbonization needed. In fact, some large companies with global supply chains account for greenhouse gas emissions equivalent to those of entire countries: Mars, Incorporated has a carbon footprint similar in scale to Panama’s. With this scale comes responsibility. By being more innovative and efficient, and working with suppliers and local economies, companies are finding ways to cut carbon and costs. Between now and 2030, the world will spend $90 trillion on infrastructure. How those investments are directed will make all the difference. These expenditures can make cities, energy, agriculture and other sectors more sustainable, or they can lock in backward-looking technologies that add even more carbon to the atmosphere and drive the global temperature even higher. Now is the time for industry to transform its role in creating a more sustainable world. Companies that prioritize clean technology, like renewables, and avoid investing in high-carbon infrastructure are not only being environmentally responsible, they are also future-proofing their growth by factoring in long-term risk and positioning themselves as winners of the low-carbon economy. So investing in sustainable operations is both the right thing to do and the smart thing to do. At Mars, we are already seeing the financial benefits of falling renewable energy prices and the long-term cost savings of clean technology. In addition, companies that embrace sustainability are demonstrating they take their accountabilities seriously, which is relevant to critical partners like customers, governments and NGOs, as well as current and future employees. While national leadership remains paramount, businesses are essential partners for governments as they work to achieve their climate targets. For instance, companies and investors have registered more than 2,600 commitments ranging from 100 percent renewable energy purchasing to dramatic emission reductions under the NAZCA (Non-State Actor Zone for Climate Action) global platform established by the UNFCCC. 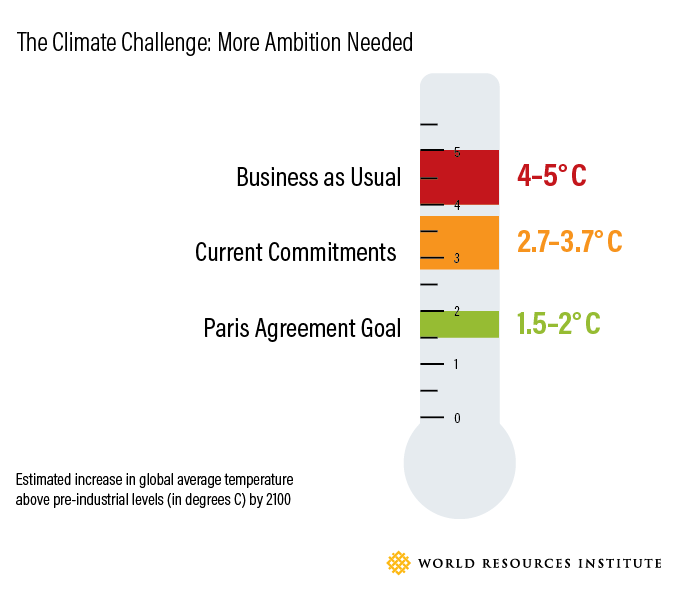 Over 650 companies with a total market capitalization of over $15 trillion are taking bold climate action through the We Mean Business coalition’s Take Action campaign. And in the vanguard are companies that have committed to setting their own targets based on the best science aimed at keeping global temperature rise under 2 degrees C. Since December 2015, the number of businesses in the Science Based Targets initiative has more than tripled to 338 companies, including brands such as Mars, Hewlett Packard, PepsiCo, Carlsberg, Fujitsu, GlaxoSmithKline, Nestlé, Pfizer, Walmart and Xerox. This will be a pivotal year for climate action, with the rules and new implementation guidelines of the Paris Agreement due to be finalized by negotiators at the end of 2018. Countries will also be meeting to take stock of their national climate plans, in a year-long process that should culminate with a clear set of signals from governments – together with businesses, cities and states – that they will strengthen their national commitments by 2020 and drive the large-scale change we need. The private sector has a unique opportunity to help shape these national climate strategies, and inform a clear policy direction from governments, which will help businesses invest with more confidence in the low-carbon economy. Companies should speak up between now and the next UN climate summit in December to make the case that climate risk and financial risk are inextricably linked, just as effective climate action and prosperity can – and must – go hand in hand. Business leaders can also make their corporate climate goals relevant to countries’ climate goals, as outlined in the Global Action Playbook 2018 developed by the UN Global Compact and World Resources Institute. When companies explain how cutting their emissions provides economic and social benefits, they are encouraging smarter government policies and heightened ambition. And the more companies and institutions engage in constructive dialogue around policy actions, the easier it will be for countries to meet and exceed their commitments. What happens this year will show which leaders truly understand the high stakes inherent in climate action – and the giant opportunities presented by the transition to a low-carbon, sustainable and more prosperous future.